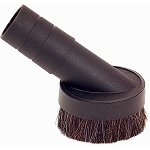 We carry a large variety of attachment to replace old worn out brushes. We also carry the attachments to add to your current configuration to increase your work capacity and specialized task. These attachments are all 1.5 inch diameter unless specified. If you are looking for 1.25 inch attachments, just check under our parts section then attachments.